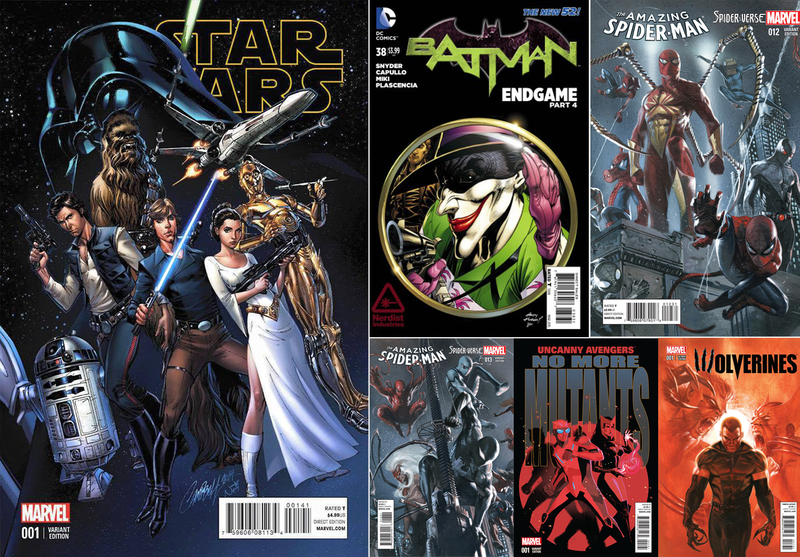 THE TOP 6 COMICS FOR JANUARY 2015: 1) STAR WARS #1 2) Batman #38 3) Amazing Spider-Man #12 4) Amazing Spider-Man #13 5) Uncanny Avengers #1 6) Wolverines #1 - Full stats after the jump. MY THOUGHTS: The best news of the month's isn't that Gabrielle Dell'Otto landed three of the above covers, nor is it The Walking Dead at #10, but Ant-Man #1 at spot #7. ANT-MAN IN THE FRICKKIN' TOP TEN COMICS SOLD! Now that ladies and gentlemen truly is the power of Marvel Comics/Studios in action (especially as it's not focussed on Hank Pym - let it go Dan, let it go). TOP COMICS OF JANUARYS PAST: Shang-Chi took the mutants to Hong Kong in X-Men #62 in 1997. 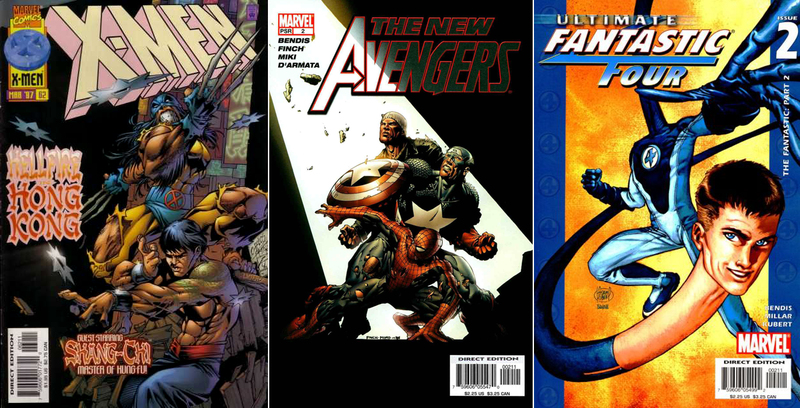 In 2005, New Avengers #2 saw David Finch craftily arrange a cover where Spidey evolved into Cap, evolving into Luke Cage, and Ultimate Fantastic Four #2 won top honours in 2004. With the upcoming movie looking based on these issues, expect them to disappear from back issue bins shortly.